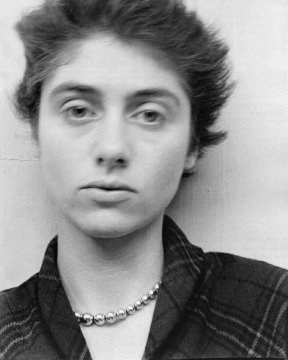 On this day in 1933 photographer Diane Arbus was born. Arbus’s photography is known for its portrayal of individuals and groups perceived as “other” or marginal. This included the disabled, sharecroppers, and people of diverse sexual orientations. She worked first as a fashion photographer but in later years crafted her work almost exclusively in pursuit of artistic goals. in the 1960s she taught photography in New York City. She committed suicide in 1971. Selections of her photography can be seen here.